Drones - Helpful or Harmful to Birds? Not everything that flies is a bird, and as more people experiment with drones for professional, recreational and personal use, these unusual vehicles will have more of an impact on birds. Will that impact be negative or positive? Drones – unmanned aerial vehicles (UAVs) or unmanned aircraft systems (UASs) – are remote operated aircraft that often carry sophisticated electronics, including monitoring tools, GPS and cameras. There are many drone designs, which often include multiple rotary blades reminiscent of helicopters. This gives drones exceptional maneuverability and the ability to hover. Drones have been used for military applications for many years, but in recent years smaller, lighter, more affordable designs have made drones more popular for commercial and recreational use. Depending on the style, drones may be used for surveillance, inspections, surveys, photography, videos and other applications. Drones are being used more frequently in firefighting, search and rescue and other tasks as well. Hobbyists are experimenting more frequently with drones, and as more of these vehicles take to the skies, birds may be at risk from improper drone use. Disrupting Nests: When drones are flown too close to rookeries or bird nests, the noise and unfamiliar presence of a drone could drive adult birds away. This can lead to neglect or abandonment of vulnerable eggs and chicks, reducing the breeding success of sensitive bird populations. Provoking Attacks: Some birds, particularly raptors, are very territorial about their nesting areas, and if drones are perceived to be a threat, the birds may attack the remote vehicles. This diverts the parent birds from caring for their hatchlings, foraging or otherwise tending to their own survival needs. 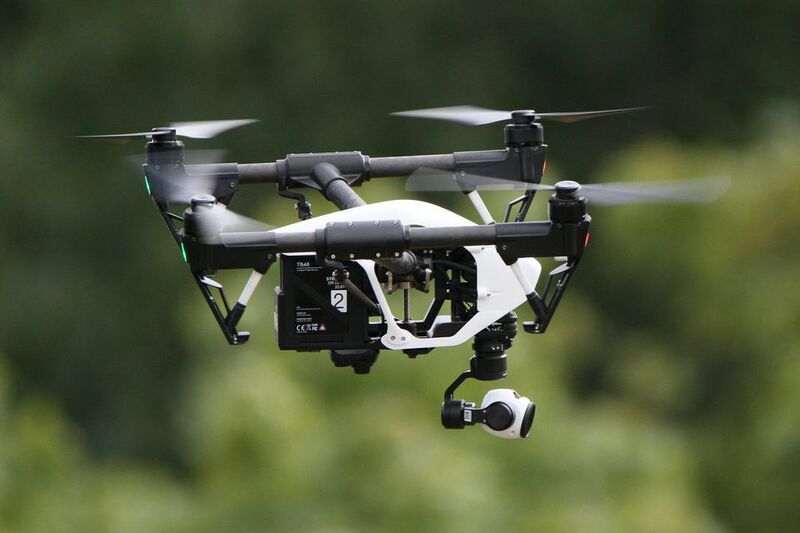 Birds that attack drones could also be injured by moving blades or other parts of the equipment. Scattering Leks: Birds that congregate on leks for courtship displays can be particularly sensitive to disturbances, and if a drone appears to be a flying predator, the birds may scatter prematurely. This can drastically impact their ability to find suitable mates, and if the lek is not revisited, it may take generations for birds to find and begin using another suitable site with the same success. Interrupting Feeding: If a drone disturbs a foraging bird, the bird may abandon a good food source and be forced to seek less abundant or nutritious resources. This type of disruption can have a catastrophic impact on overall bird populations, as malnourished birds do not breed as successfully or raise as many healthy chicks. Midair Collisions: It is possible that a drone could inadvertently fly into a flock of birds or otherwise collide with birds, causing severe injuries. While there have not yet been any reported instances of accidental midair collisions – birds colliding with drones as they attack are a different type of impact – as drone use rises, this risk also increases. Monitoring Sensitive Areas: If drones are used cautiously, they may be able to quickly and safely monitor leks, nests or rookeries without impacting birds. By using video or infrared technology, drones can collect data from greater distances than traditional observers, minimizing the impact on wary, sensitive bird species. Population Counts: Drones could be used to more accurately assess bird populations in remote areas where accessibility, finances or other factors make it less feasible for humans to survey the birds. This can lead to better awareness of population shifts or changes that can impact conservation measures. Poaching Records: In areas where bird poaching is a concern, drones could be used to monitor suspected illegal activities and record poaching acts with far less risk to observers. The video evidence collected by drones may also be helpful in convicting suspected poachers and minimizing crimes against wildlife. Airport Safety: It is possible that drones could become another tool airports use to minimize bird collisions with planes. Not only could drones be used to disrupt potentially dangerous flocks near airports, but they could record data that can be analyzed to help keep flocks away from busy flight paths. Habitat Preservation: Where drones can be used for research and monitoring, there will be less need to damage or destroy habitat to create roads, observation areas or other facilities. This leaves more habitat intact for birds and other wildlife to use, which is essential in many areas where fragmented habitat can be just as damaging as total habitat loss. Inspiration: Drones can be used in many commercial filming applications, and the aerial footage they acquire can be truly inspiring. When drones are used in nature photography and videos, they may help people learn about birds, encouraging more people to become active in birding and bird conservation. Whether or not drones are helpful or harmful to birds in the long term remains to be seen, but responsible use can go a long way to minimizing any negative impacts. The best drones to use near any wildlife, including birds, will be smaller vehicles designed for quiet, unobtrusive flight. They should be flown cautiously, not approaching birds either too closely or too quickly. Drone designs with shields to cover the blades will also be safer in case of accidental collisions or aggressive bird attacks. Recreational drone users should always keep their vehicles away from wildlife, and should obey all local restrictions or guidelines for safe drone use. As more and more technology intersects with wildlife, there is potential for both great harm and great help. By understanding both the negative and positive impacts drones may have on birds, birders can make the best possible use of this innovative technology.